Looking right from the same spot as SP1772 : Packwood House, with the southwestern gazebo of the south garden, "probably mid C17. Round-arched doorway to east and north side" Link . 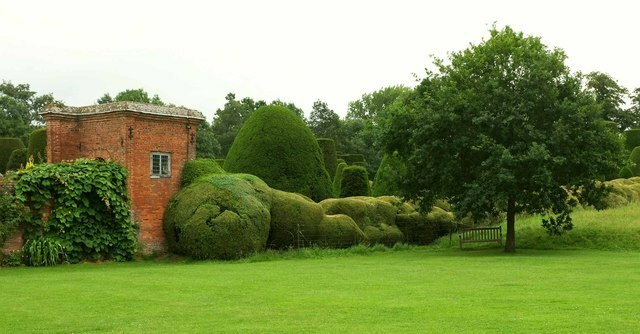 To the right is the undulating box hedge bordering the topiary garden.